A complete leak detection package designed to protect smaller Comms Rooms (up to 5m x 5m) from being damaged by water leaks. The kit includes a LeakStop+ alarm panel, connection cables, 20 metres of sensor tape and an external beacon. Protect your data from being destroyed in the event of a water leak using the Comms Room package. This kit of parts contains everything required to detect the presence of water in unwanted areas. Leaks from pipes that pass through or over the comms room or from condensate drip trays that may overflow due to blocked drainage pipes. Utilising sensor tape installed under the raised floor (this can also be fitted around the periphery of the room if there isn’t a raised floor) connected back to a water leak detection alarm panel. 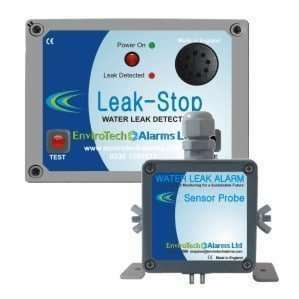 Should water be detected by the sensor tape, the alarm panel will immediately sound and a warning light comes on. At the same time an external beacon that can be installed on the outside of the Comms Room will start to flash. 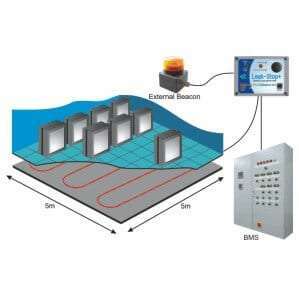 There is a volt free contact relay available for connection to the BMS, should this be a requirement. This kit also comes with line fault monitoring, which will alert you should the sensor tape of connection cable become damaged or broken. 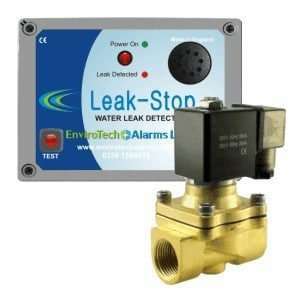 Single zone water leak detection alarm panel with line fault monitoring and connection to an external beacon and BMS. 20 meter length of water leak detection sensor tape with moulded plug and socket. Designed to detect the presence of water at any point along its’ length. Powered through the main alarm panel using a 12VDC supply, eliminating the need to use a NICEIC approved electrician, simply plug and play connection makes it easy to install. Super bright flashing beacon can be seen from over 30m away.